Living in the city or in an apartment doesn’t mean you can’t have some green space to call your own. 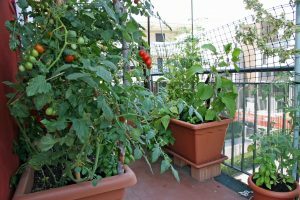 Growing fresh herbs, vegetables and flowers on the balcony or rooftop is a growing trend. No pun intended! Balcony gardening is visually pleasing; creating an oasis of green right outside the door. Imagine dinner made with fresh-picked vegetables and herbs, direct from balcony-to-table! 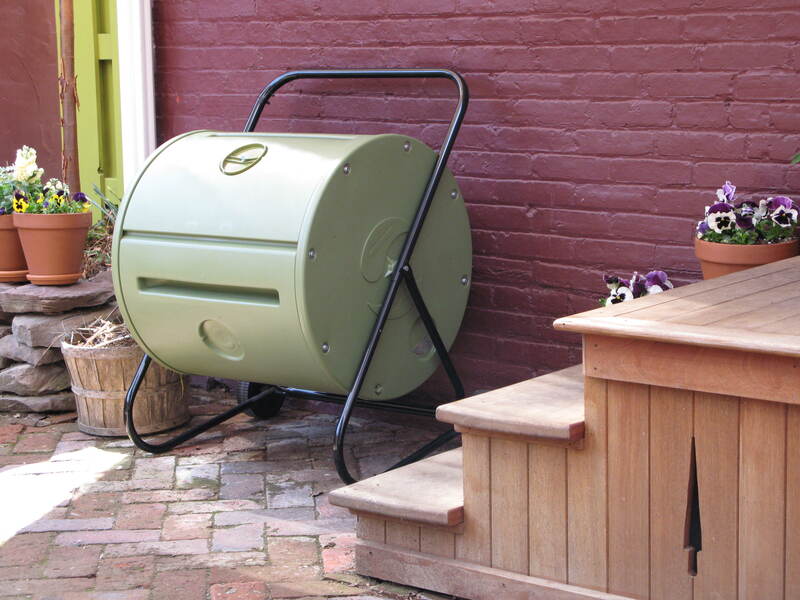 There’s also space for a composter. They’re not as big as you think. And you can do your part to recycle kitchen waste into food for your plants. Fertilizing your pots of vegetables and flowers is essential. Compost is the most natural, nutrient-rich fertilizer you can feed your plants. Compost helps retain moisture and it promotes healthier, disease-resistant plants. Making small batches of compost from food scraps and other compostables is a great way to reduce waste that would otherwise go to the landfill. There are lots of things you can compost. Here’s more information on how to compost plus a list of common and not so common things you can toss into the compost bin. No matter how small your space, you can reduce waste by composting! I have been using a Mantis composter for three years now and shut it down for winter. I’m wondering if I could still compost all through the winter with surplus grass and leaves that I bag up?